You don’t move from the small town of Dawson Creek in northern British Columbia to Southern California without learning the value of having a vision. “It was a tremendous culture shock,” Dennis M. Craig recalls, having made that trip with his dad, brother and sister in 1965. All these years later, Dennis is the guy with the vision, and it’s for your success in Redlands and San Bernardino real estate. 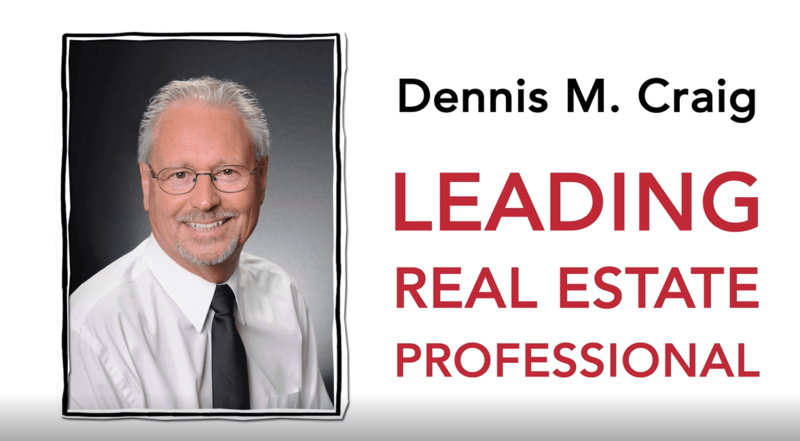 As a leading real estate professional, Dennis takes great pride in developing A Vision for Your Success and executing that vision to help achieve all of your home buying or selling goals. He knows that each transaction requires an individualized approach, and that’s exactly what he provides to his clients. When the time comes for your next move, turn to Dennis M. Craig and let him craft A Vision for Your Success. Call him today to schedule a private consultation. As the owner of the Red Fox in San Bernardino for nine years, Dennis proudly gave back to the San Bernardino community through sponsorship of local youth athletics and many other community involvements Dennis ingrained himself in the area’s future through his involvement as President of CSUSB’s Coyote Athletic Association. Not surprisingly, Dennis had a vision for improving the University’s athletics programs in the area of raising the overall reputation and prestige of the school. As chairperson of the annual Dave Stockton Coyote Classic Golf Tournament, Dennis helped raise more than $100,000.00 annually for student athletic scholarships. His commitment to this program earned him National recognition by the NAADD (National Association of Athletic Development Directors) as College Division Volunteer of the Year. Dennis also served as a Board Member of the San Bernardino Area Chamber of Commerce. While Dennis’ business life was in San Bernardi no he has lived in Redlands most of his adult life and true to his character, he continued to serve his community through serving on the Board of Directors of AYSO, Redlands Benchwarmers, YMCA of the East Valley, Australian Baseball Tour of Redlands and serves his Heavenly Father at Church On The Hill. Another area in which Dennis’ visionary approach is making a major difference is in his career as a leading real estate professional. Having owned his own businesses and worked for himself throughout most of his life, Dennis knows what it takes to satisfy a customer, and he applies that knowledge to each and every transaction. “My goal is to provide a level of service that inspires people to refer their friends and neighbors to me,” Dennis says. hard to keep his clients constantly informed and up-to-date regarding the progress of their transactions.